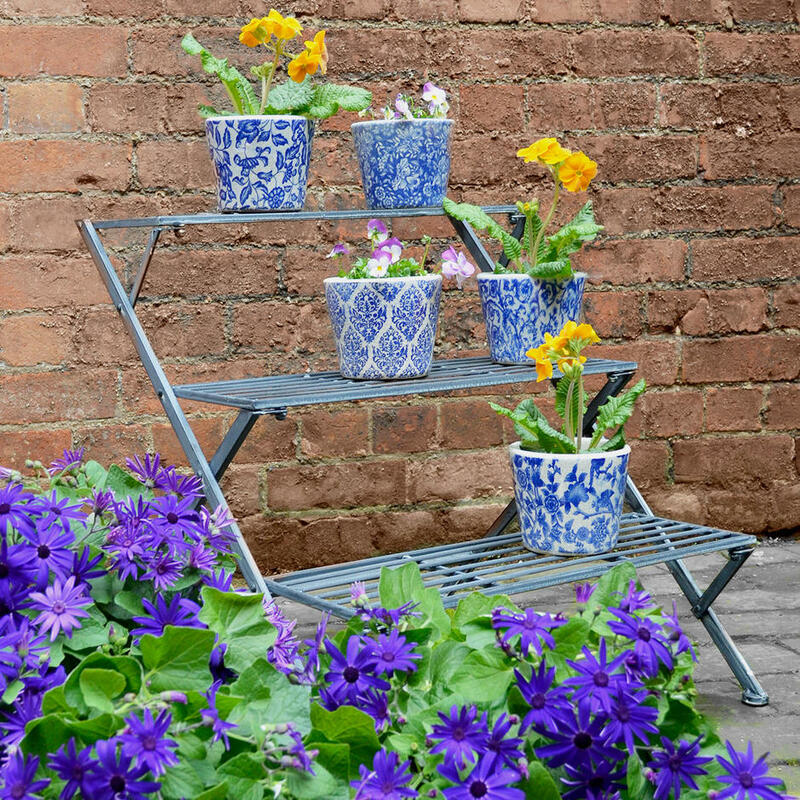 Create your own plant theatre display with this simple tiered etagere. 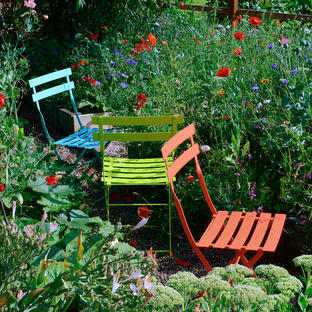 A really attractive way to display a selection of small pot plants, try fragrant plants such as french geraniums and pelargoniums, or even lavenders. Site the etagere near to a house wall to let the air be gently perfumed with the scent of these fragrant plants. For a gorgeous display try using the blue and white Delft style plant pots with pink or red pelargoniums. 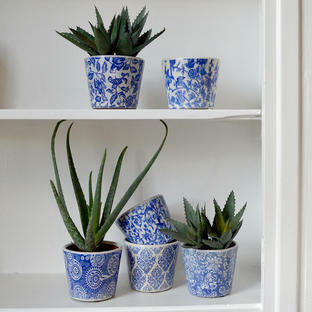 Alternatively try the plant theatre with a selection of little plants such as sempervivums in vintage terracotta plant pots. 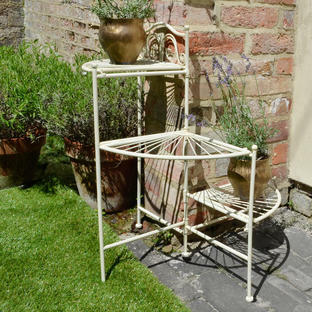 Metal in painted grey distressed finish. 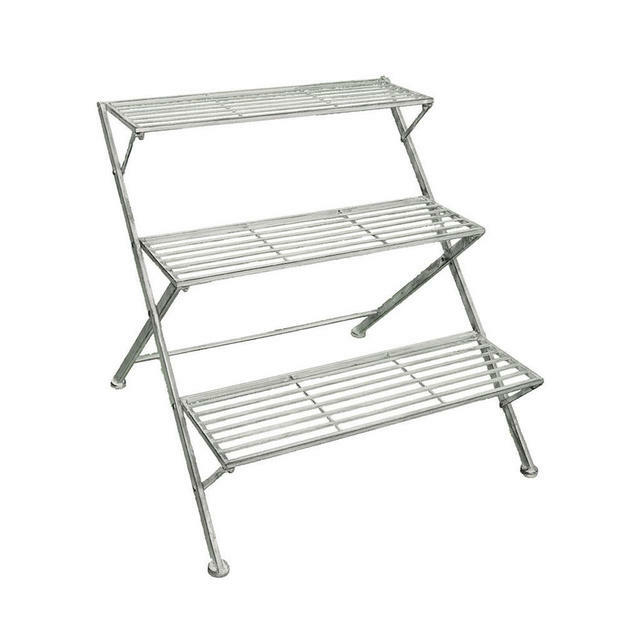 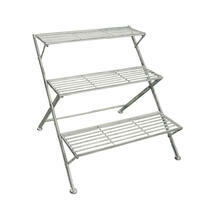 The etagere can folded down for easy storage.